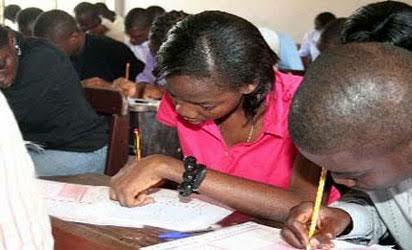 JAMB Reveals New Ways of Curbing Examination Malpractice. To those whose hobbies include examination malpractice, I am pleased to tell you that this year may not be favourable for you as the Joint Admissions and Matriculation Board (JAMB) has taken steps to curb examination malpractice. In preparation for the 2017 Unified Tertiary Matriculation Examination (UTME), JAMB has new rules and guidelines that may prevent students from cheating. My question is: Do you consider English Language as one of those subjects you can easily pass through examination malpractice? 1. The adoption of CCTV cameras for all the CBT centres. 2. The adoption of a single hall containing 250 functional desktop or laptop computer systems with extra 25 as backups. The computers must be minimum 15 inch screens and must be connected to robust computer server with capacity to carry a minimum of 250 systems concurrently. 3. The adoption of cabled Local Area Network (LAN) and not wireless connectivity. 4. The adoption of cubicles with minimum length of 26 by 18 inches. 5. There will be adequate security with minimum of five technical personnel and a network engineer on site. 6. Availability of back-up power supply (power generating set of minimum of 40KVA for a centre with 250 systems) and UPS/inverters that can carry all systems for a minimum of two hours. 7. All the centres should have minimum of 250-capacity reception facility such as canopy with chairs. 8. All the centres’ premises must be enclosed and must have adequate and functional air-conditioners. The centres must also have lighting, up-to-date antivirus and minimum of Windows 7, among others. It is also important to note that the board said it would no longer use scratch card but would adopt 'pin vending' for the 2017 UTME test. This was made known by the head of media and Information of the board, Dr. Fabian Benjamin who also advised intending candidates to get familiar with the new approach.